Miliband, Farage, Clegg resign: UK leaders out after David Cameron wins. 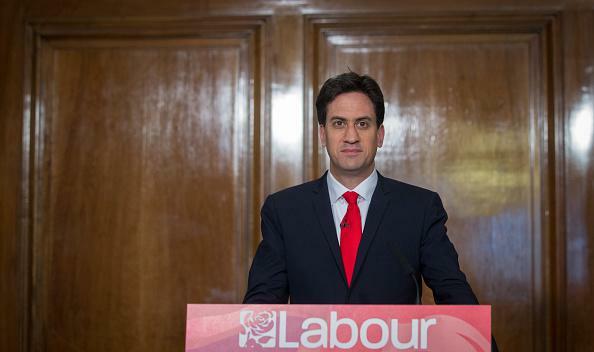 Labour’s Ed Miliband gives his resignation speech on Friday. At the time of writing, with almost all 650 seats declared, the Conservatives had 325, Labour 229, the SNP 56 and the Liberal Democrats eight. In practice 323 Members of Parliament is the number needed to form a majority government. As Cameron drove to Buckingham Palace to notify Queen Elizabeth that she had a new government from day one, rather than the chaotic search for a viable cross-party coalition of either the right or the left, Miliband resigned as Labour leader, shocked by the scale of his rejection by the electorate. Conservatives held 306 seats in the previous Parliament. The other major development in the election was the success of the Scottish National Party, the left-leaning group that advocates secession from the UK. A 2014 move to secede was defeated by a margin of 55 percent to 45 percent in a Scottish referendum, but on Thursday the SNP won 56 of Scotland’s 59 available seats in Parliament. Farage’s right-wing nationalist United Kingdom Independence Party won 12.6 percent of total votes cast but will only end up holding a single Parliamentary seat.